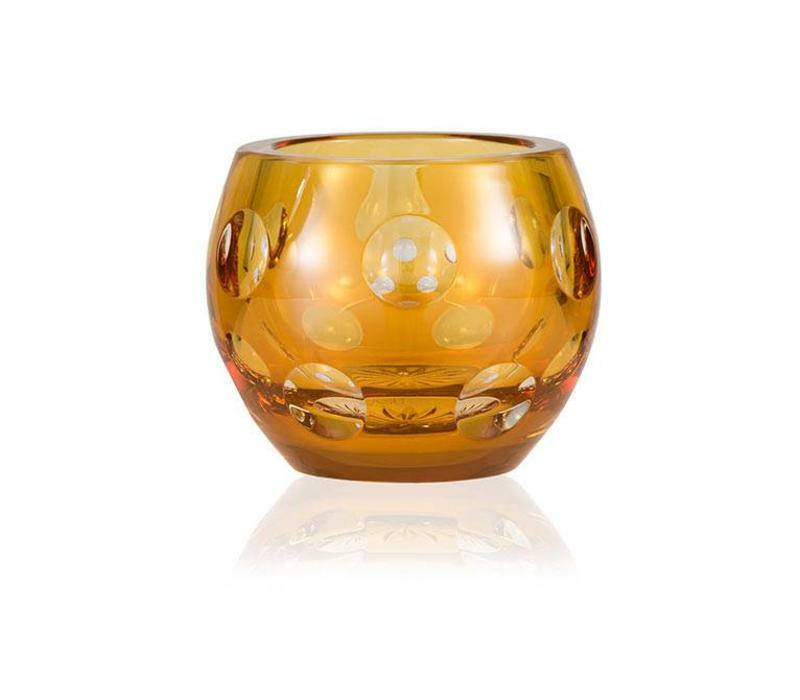 Add warmth and elegance to any table with this stunning fine crystal Amber colored votive designed for a tea-light candle or a flower. 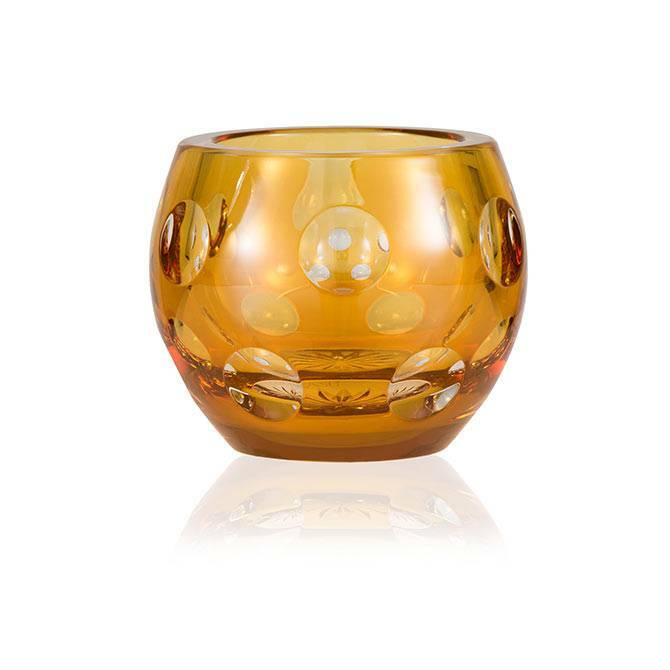 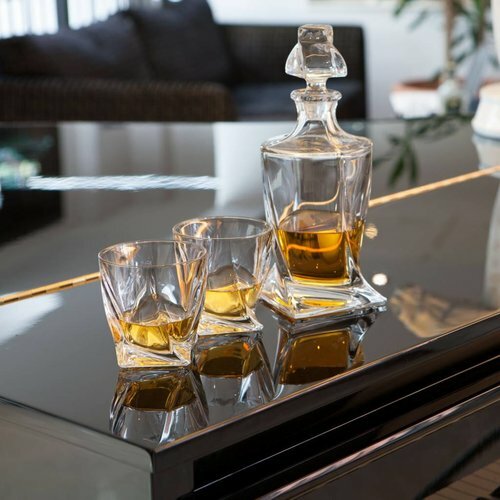 It will make a dramatic statement wherever you choose to display it. 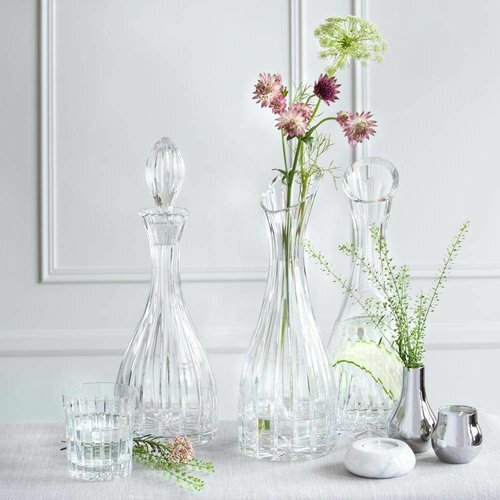 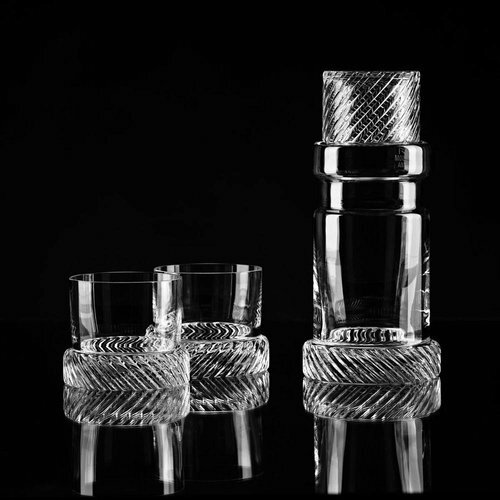 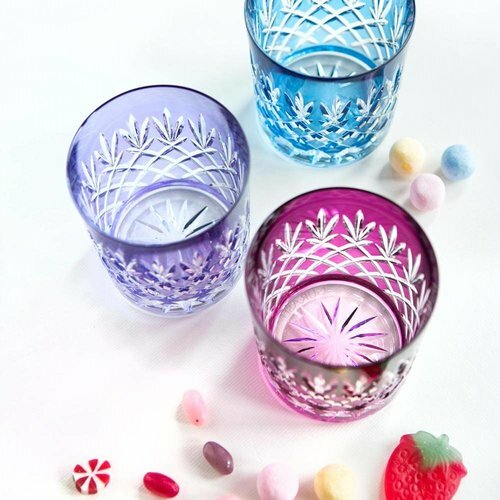 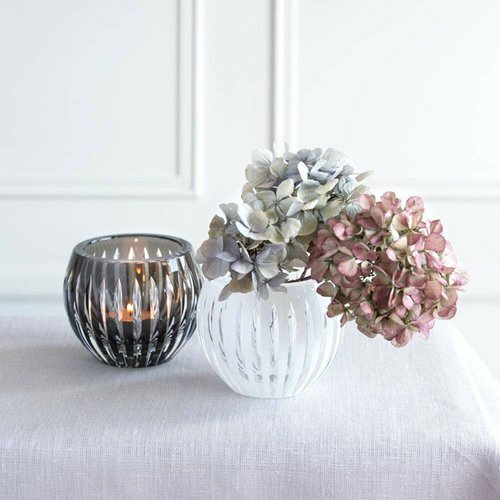 It combines the styling with the comforting weight and stability expected from a hand-crafted fine crystal.